Lightning A-10 especially, that aircraft is too awesome and popular to be ignored. MOAR, please. (Preferably from planes that already are in VT). The skins will follow ASAP. (Preferably from planes that already are in VT). I'll post whatever already in-game, thus things that has been confirmed but aren't in-game yet (F-14, F-22, Su-25, F-35) don't count. I'll start with ripping every single SP skins from ACZ. Next round will be the Round Table skins. 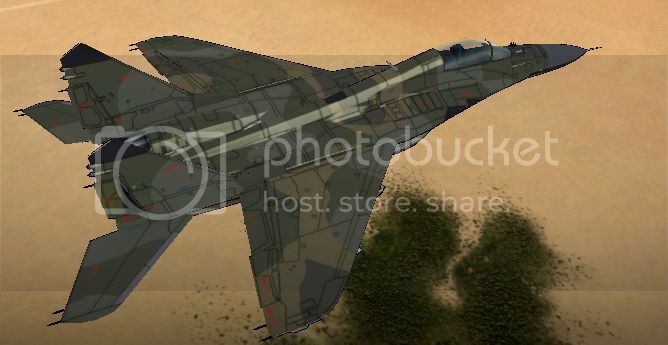 Speaking of above, I believe that Sorcerer is unmarked as one of the F-15ACTIVE's default paintschemes, same goes with Silber's Falcon. And about the Wizard Team's F-16XL, why hasn't anyone done that for the SCAMP2 yet!? It's the near-perfect XL, and was even a conceptual stepping stone as far as I know..
(Some) AC4 alternate/SP colors, just noticed that the SP color still retains FEAF insignia unlike the following installments. Sorry, no Yellow 13 yet. I just realized most of the planes could use pilot models. They don't have to be animated because the controls in modern fighters are pressure sensitive. bornloser wrote: I just realized most of the planes could use pilot models. They don't have to be animated because the controls in modern fighters are pressure sensitive. I think the pilot model should be a separate model from the aircraft itself. May I request the following ones? I assume the starting skins for the F-2 and ACTIVE on AC4 were the JASDF blue and test stripes, though I'm not entirely sure anymore. What were the other two skins for these? SpootKnight wrote: I assume the starting skins for the F-2 and ACTIVE on AC4 were the JASDF blue and test stripes, though I'm not entirely sure anymore. What were the other two skins for these? ACTIVE default color is plain blue. NASA test stripe is SP color. For F-2, the SP color is the paint scheme that was used by FS-X demonstrator. As for both planes, FEAF color are camos. I used to have a save state of AC4 that had every skin unlocked, but that was at least eight years ago. A very early WIP of FEAF Fulcrum, lots of editing to be done before ready. Just to show that I'm doing something with requested textures. I think, I forgot to ask for default Cipher's F-15C skin. If it's not too much trouble, may I have it? John, here's the Cipher F-15 skin you asked for. By the way, that "8492nd Berkut" is actually Ofnir. At least, I think it's Ofnir..
szboudreau01 wrote: By the way, that "8492nd Berkut" is actually Ofnir. At least, I think it's Ofnir..
To be more precise, its Grabacr, not Ofnir. Ofnir only fly this paintjob in AC5 final mission. Grabacr use it in both 5 and Zero. Ah, okay, sorry. 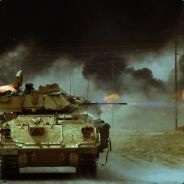 I don't actually have the PS2 games, so sadly, I am innacurate..
Now since the game's out plus to help me remember with stuff, please request what skins you'd like me to rip, especially for F-4, F-14, F-35, Typhoon, and F-22. Perhaps I'll resume ripping ACZ skins afterwards. Already done, complete with Yuke markings. SpootKnight wrote: Zipang F-14, hands-down. If anyone knows how to rip from Ace Combat Assault Horizon (on the PC), I've got that plane on my save and can boot it up supposing Windows Live doesn't crap all over that plan. Don't think I have any other nice ones unlocked from Assault Horizon, however. I'm usually using Texmod for my texture-ripping business. But if you want something more "extreme" like ripping the whole scene/models, use 3D Ripper DX. Since both program only work on DX9 (or higher/lower?) applications and ACAH still using DX9, they both should work without any problem. Well, I rounded up my save from the other computer - turns out it wasn't on this one - and Assault Horizon just doesn't seem to keen on accepting it. Seems like the whole transition to no GFWL thing wrecked the Zipang part of the save, I just have an oddly purple colored Jolly Rogers where my custom smoke trail one was.